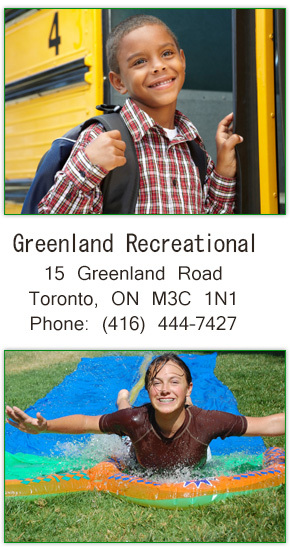 GRASP (Greenland Recreational After-School Program), is a community-based, non-profit corporation which operates a school age Childcare Program monitored by a Volunteer Board of Directors. The program has been in operation since 1985 and is located at Greenland Public School. Although priority is given to students from Greenland Public School, children from neighbouring schools are also eligible for inclusion in the program. The focus of GRASP is to work in harmony with the family, the community and the school to provide an enriched, stimulating and safe environment for the children. The program includes arts and crafts and a wide range of indoor and outdoor activities. The program is designed to meet the needs of children and ensure that children not only acquire new skills, but also form a positive self-image. GRASP is committed to providing affordable non-profit childcare to our community through quality programing and qualified staff. Our mandate is to provide high quality childcare to our community, which is designed through pedagogy in a nurturing, child-focused environment at its core. Cultivate respectful relationships and connections to create a sense of belonging among and between children, adults and the world around them. Our programs are fluid in design with activities to suit each child’s needs through child initiated and staff supported experiences. We believe that children of all ages should have a pedagogy choice. Founded on this principal, the intent is to strengthen the quality of programming and ensure high quality experiences that lead to a positive outcome for the children’s learning, development, health and wellbeing those aliens with How Does Learning Happen? Patterns of eating and physical activity that are established in early childhood continue into later life. Snacks menus are approved by a certified nutritionist annually, based on Canada`s Food Guide, are posted n all rooms used by GRASP. GRASP encourages positive and responsive interactions among children, parents and staff. Families are experts on their own children and deserve to be engaged in a meaningful way that allows them to feel that they belong and are valued as GRASP families. Gaining knowledge about children from multiple perspectives helps ensure that programs also value the unique and diverse characteristics of the children’s families and the communities in which they live. Educators, children and parents are co-learners building on knowledge together. When we recognize and build on the strength of families and the love they have for their children, everyone benefits. We have an open door policy and encourage on going communication to express thoughts and feeling about the program and their children in a respectful and responsible way. The orientation process provides an opportunity for families to share initial information. Our staff creates engaging environments and experiences that foster positive interactions and encouraging ongoing communication among all children while keeping in mind their ability to self-regulate and individual needs. Self-regulation is about how a child is able to deal effectively with stressors and then recover. Educators support children`s developing ability to self-regulate by being responsive and attuned to children`s individual cues, arousal states, and responses to various stressors. Educators facilitate communication between children, modeling listening strategies to support relation-ships. Children are active rather than passive participants in their own learning process and are competent, capable and curious individuals with rich potentials. Understanding that each child develops at their own rate, we foster the child’s exploration and inquirer through play. Children grow up in families with diverse social, cultural and linguistic perspectives, knowing this we make it an integral part of our program to ensure each child feels that they belong at GRASP and that they are a valuable contributor to our program with the opportunity to succeed. Every GRASP staff should feel that they belong and they are an integral and valuable contributor of our program. All staff deserves the opportunity to engage in meaningful work. Our weekly program plans are developed through observations and incorporate positive learning opportunities and experiences that allows for supported learning environment. When educators have an understanding of child development, they are able to provide experiences that challenge children to stretch just beyond what they know and can do. A shared view of families as competent and capable, curious and rich in experience informs our relationship with families and has a significant impact on children. Educators engage in reciprocal relationships with families, learning about, with and from them. Educators share their professional knowledge and experiences and also seek out the knowledge and perspectives of families. Opportunities to engage with people, places, and the natural world in the local environment help children, families and educators, and communities build connections. GREASP seeks involvement from our local community partners and allow them to support our program, parents and staff. Children visit local business that may relate to the program and their interest. We support our staff at GRASP by seeking out continuous professional learning opportunities and embracing by considering opportunities present to us. We believe our staff are knowledgeable, caring, resourceful and they too bring diverse social, cultural and linguistic perspectives. Educators are lifelong learners. Our staff are rich in experiences, competent and capable individuals that collaborate with others to create engaging environments and experiences. When educators engage in continuous learning and questioning, exploring new ideas and adjusting practices, they achieve the best outcomes for children, families and themselves. Early years curriculum is the sum total of experiences, activities and events that occur within an inclusive environment designed to foster children`s well-being, learning, and development and ensure meaningful participation for every child. The Board of Directors will review the impact and implementation of our statement on the children, their families and our community annually. The director will be able to re-evaluate The Program Statement though exit interview annual surveys, staff meeting and building positive relationship with families the children and our community to encourage dialog. GRASP is committed to continuous improvement and our Program Statement is a fluid document reviewed and amended to meet the needs of children, families and educators. GRASP Program Statement is reviewed annually with all educators/staff or at such time the Program Statement is modified. Staff, students and volunteers review the Program Statement prior to interacting with the children.